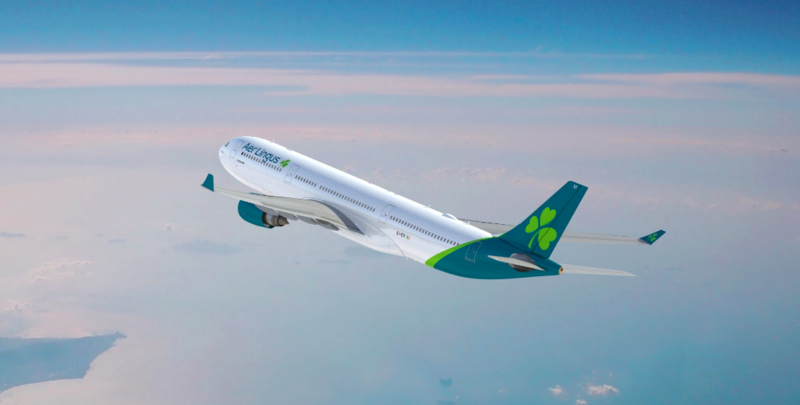 [One Mile at a Time] Aer Lingus Will Fly A321LR To Hartford: Aer Lingus just recently announced a rebranding, which comes ahead of some major changes that the airline has planned for this summer. Aer Lingus will be taking delivery of their very first Airbus A321LR in the second quarter, which will fit very well into their fleet. The airline has 14 of these planes on order, and should take delivery of four of those in 2019. The A321LR has the range to fly from Ireland to much of the East Coast of North America, so it will largely replace the leased 757s that they currently fly, and will also allow them to expand to new markets. Anyway, up until now it looked like Aer Lingus’ first transatlantic A321LR route would be to Montreal. The airline is launching daily flights between Dublin and Montreal as of August 8, 2019, and the route is scheduled to be operated by the A321LR. While that route remains unchanged, it looks like it won’t be the first route to North America to feature the new plane. Currently the route is operated by a Boeing 757-200, which features 12 business class seats and 165 economy seats. Meanwhile the A321LR will feature 16 business class seats and 168 economy seats, so it represents a capacity increase of four seats in business class and three seats in economy. Ultimately this isn’t huge news, in the sense that the passenger experience isn’t that different. I’d say the A321LR is a bit better since it’s quieter, the cabin is a bit wider, and the plane features wifi. But otherwise Aer Lingus’ 757s aren’t shabby either, as they feature personal televisions at every seat, and the same business class configuration. Aer Lingus has fully flat beds in business class. On the A321LR and 757 they’re in an alternating 2-2 and 1-1 configuration. I can’t wait to try Aer Lingus’ new A321LR! It’s nice to see that Aer Lingus’ A321LR will begin transatlantic operations as of early July 2019, which is more than a month earlier than expected. While I’m booked on the Montreal route for August, I’ll try to take the Hartford flight in July. I wonder if Aer Lingus will also start flying the A321LRs within Europe in July, as this will signify the reintroduction of intra-Europe business class for the airline.